When two things I love team up it is rare so I have to share with the world and that’s what has happened with Cambridge Satchel Company’s latest collaboration with The Aspinall Foundation, internationally renowned animal conservation charity, which is located at Port Lympne, the safari park near me here in Kent, which has the cutest giraffes that inspired this amazing collection of bags. 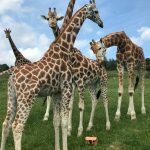 The Aspinall Giraffe Collection is limited-edition, so get in there quick, as not only are they super pretty – just look at that dreamy Rothschild Giraffe print, an amazing 20 percent from every bag sold will be donated to The Aspinall Foundation, so your bag addiction can help save animals like these cuties, which are actually the world’s most endangered giraffe, the Rothschild Giraffe. I do love fashion with a heart! 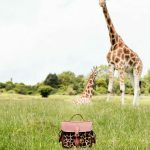 There are four styles in the capsule collection, The Traveller, The Tiny, The 11 inch Satchel and The Backpack, which all come in two spilt leather colourways, a gorgeous neutral sand shade, perfect for those safari vibes, and a vibrant deep burnt red hue, brandy, a gorgeous colour that will see you through autumn. I love them both. If I could only have one, it would have to be the Traveller Bag with Side Pockets in the sand and giraffe haircalf colourway, as this is a dreamy bag in a very different colour for me, and my rule when getting anything new it has to be something I don’t already have, as the amount of things I used to buy that was nearly identical is unbelievable. 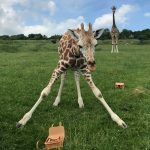 If you are getting one, don’t forget the personalisation option, I did it for my Mum’s birthday present and she loved it, just makes your bag more personal – the only disappointing this that they don’t have a giraffe symbol to emboss! 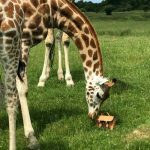 The Aspinall Giraffe Collection ranges in price from £65 for The Tiny to £195 for the backpack. 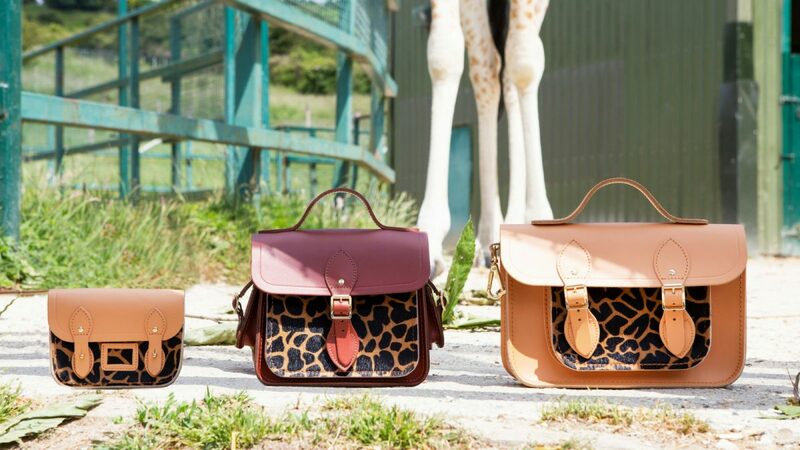 Which Cambridge Satchel Giraffe do you want to add to your wardrobe?